How an Android device becomes black screen? Just check if the back light on the screen of the phone is broken or faulty. Or whether you have dropped the Android device in water or other types of liquid. It is also not uncommon for a user to set the wrong settings accidentally, specifically if they are tinkering around with its brightness. For instance, if someone can set it on the lowest brightness so it can become black or blackish. Once your Android phone is black screen, the most concern is how to restore photos and videos from Android with black screen. Here, I'd like to recommend you this Broken Android Data Extraction, with which, you can recover delete and lost photos, videos, music, contacts, call history and text messages from Android phone and tablet with one click. It will perform a deep scan on your Android phone so that you can preview and select the exact files you want to recover. Both existing and lost photos/videos can be restore by using this Broken Android Data Recovery. It is a stand-alone program and 100% preserve the original quality of the files. Here is the free trial version of the software, just download it to have a try. How to Recover Lost Photos/Videos from Android with Black Screen? Step 1. 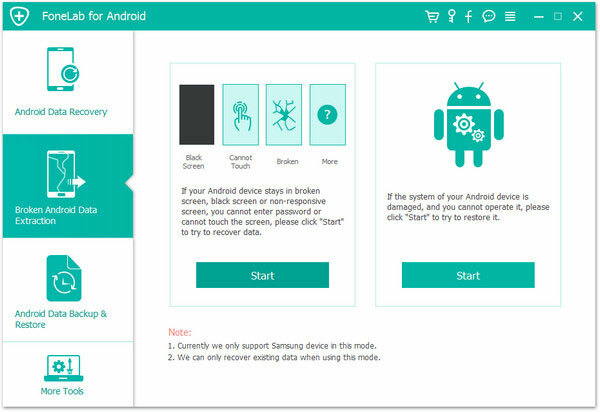 Link your black screen Android to computer with a USB cable, open the Broken Android Data Recovery after you downloaded and installed it on your computer. 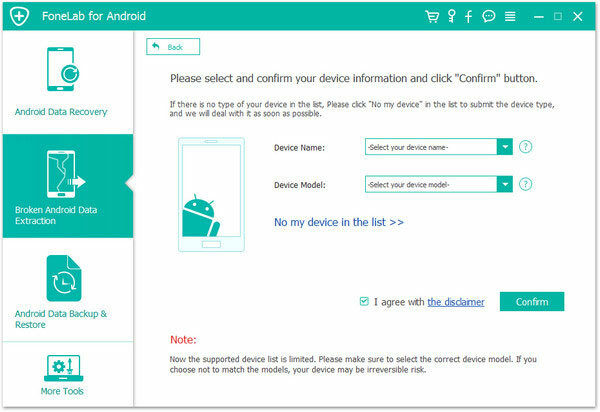 The connected Android phone will be detected by the program and then you should choose "Broken Android Phone Data Extraction" option from the left. Step 2. Next, click the "Start" button and choose your phone's name and model. After that, you should click "Confirm" to go to the next step. Step 3. 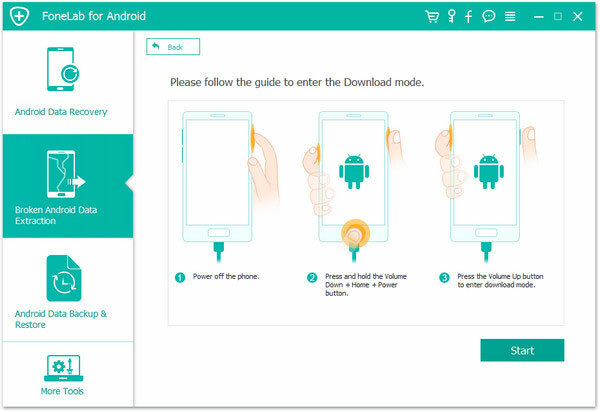 Now, you have to follow the direction on the interface to make your Android phone enter the download mode. After that, click "Start" button to fix your phone. Step 4. 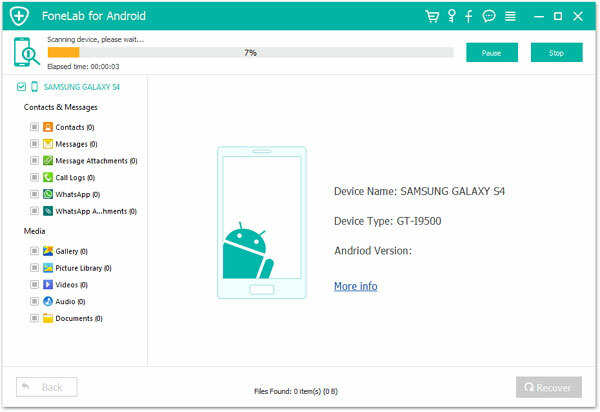 After your Android phone is fixed, the program will scan your phone data automatically. Finally, you can select the photos and videos you want back and click "Recover" to save them to your computer.